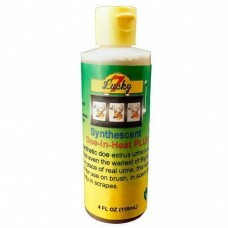 Synthetic Scents are made in the lab. They simulate real deer urine, but have a few advantages. They never rot or go bad. Synthetics never require refrigeration. Artificial urines are legal in all 50 states due to not being able to be contaminated with CWD. 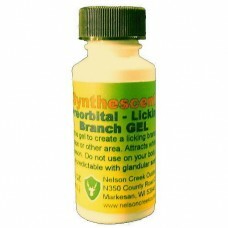 Nelson Creek Outdoors manufacturers the World's Most Effective synthetic Doe-in-Heat and Buck-In-Rut scents. We keep proving we have the world's best synthetic scents! 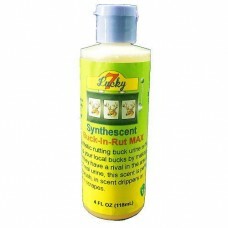 Our new rutting buck synthetic urine is a..
You wanted a synthetic scent that can be used all season long, including before, during and after th.. The boys in the lab really did an outstanding job on this scent! This synthetic doe in heat urine ha..
We keep adding to our line up of PREMIUM synthetic scents! Our new preorbital/ licking branch deer s..